“Blessed are the peacemakers: for they shall be called the children of God” (Matthews 5: 9). There is a great reward for peace making. This Bible verse attests that God’s children are blessed because they are peacemakers. God’s children are known for peace making. They are called peacemakers. God’s children must reflect the image and likeness of God and His Son Jesus Christ. In the Book of Common Prayer of the Anglican Communion, God is called “the author of peace and lover of concord”. God is a peacemaker. One of the names given to God is Jehovah-Shalom, “The Lord is our peace” (Judges 6: 24). “Shalom” does not denote the absence of trouble, but the peace of God in the midst of it. This peace of God, which passes all understanding, keeps our hearts and minds in the knowledge and love of God and of His Son Jesus Christ our Lord. Jesus Christ is a peacemaker. He is well known as the peace giver. Christ is called the Prince of Peace in Isaiah 9: 6. “Christ is our peace; He has reconciled us to God in one body by the cross. We meet in His name and share His peace”. The first thing a person experience after giving his or her life to Christ is peace, because the Prince of Peace now lives within. The only way to experience peace is to embrace the Prince of Peace. In this world of war and turbulence, we can have peace if we truly surrender to Jesus Christ. Jesus Christ can calm any storm. He calmed several storms when He was here on earth (Matthew 14: 24 – 32; Mark 4: 39), and there is no storm in people’s lives that He cannot calm. God’s children are peacemakers. Our Lord Jesus said, “Blessed are the peacemakers: for they shall be called the children of God” (Matthews 5: 9). “Notice, God promised to bless peacemakers. Peacemakers know the value of peace, and they pay the price. Peacemakers follow the path of peace; and they enjoy the benefits. We are called to be peacemakers and promoters of oneness in the body of Christ (Colossians 3: 15). When we have an issue with someone, Jesus said we should take certain steps. First, go and try to resolve it privately. If that does not work, take someone with you who can help. If that fails, take it to the church leadership; and if the person still refuses to be reconciled, then love them and leave them in God’s hands (Matthew 18: 15 – 17). It may not be a “How-to-Win-Friends-and-Influence-People” approach to conflict resolution, but it is God’s way. Apostle Paul said, “ Do all that you can to live in peace with everyone.” (Romans 12: 18). For example, Apostle Paul was willing to forgo eating certain foods that were offensive to others (1 Corinthians 8: 13). What about you? Are you doing your part? What efforts are you making “to keep the unity of the Spirit in the bond of peace” (Ephesians 4:3)? If Christ lives in you, shouldn’t people feel His presence when they are in your presence? If you are in the church committee, shouldn’t the church be blessed? Shouldn’t you be a peace making agent solving problems and helping the church grow? The church is not perfect. Nobody said it was. But whatever is wrong with the church is man’s doing, not God’s. To keep the unity of the body of Christ is not going to be easy. But we must do it with all lowliness and meekness, with long suffering, forbearing one another in love (Ephesians 4: 1 – 3). How are you contributing to peace, unity, progress and development of your environment? Peace making should be a team effort (Hebrews 10: 24, 25). It is commendable that leaders of governments are coming together under the umbrella of a United Nations (UN) trying to solve the problems of war around the world. Human government is expected to promote the general welfare and peace of the community where its laws are in effect. Apostle Paul commends us to pray for community leaders “that we may lead a quiet and peaceable life in all godliness and honesty” (1 Timothy 2: 1, 2). We are God’s children. Let us then pursue all that makes for peace and build up our common life. Rev. Canon Nelson Iluno is an Anglican Minister ordained in July 28, 2002. He is 2018 – 2019 student of Master of Advanced Studies in Ecumenical Studies at Ecumenical Institute, Bossey, Switzerland. Holds post graduate degrees in Theology and Church History from Crowther Graduate Theological Seminary, Abeokuta, and is a graduate of West Africa Theological Seminary, Lagos. He is the Editor-In-Chief of Calvary Compass magazine of the House of Clergy, Church of Nigeria (Anglican Communion). 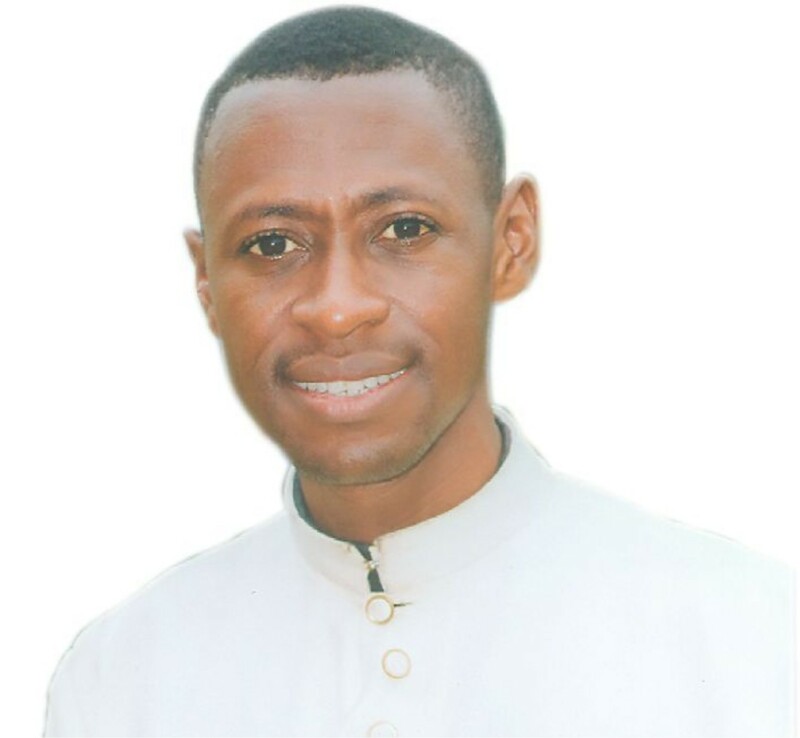 He is the author of Spiritual Formation, Give to the Winds Your Fears, and A Glossary of Ecclesiastical and Liturgical Terms, and has written numerous articles, contributed to daily devotional guides, and edits the Nnewi Diocesan Mothers’ Union annual magazine. I am really pleased to have received this and found it very helpful as we enter the New Year of 2019 in our sadly broken world. We must strive for peace with our neighbors and pray also for the rest of our brothers and sisters in this sadly broken world. I will do my best in 2019 to do my part to encourage all of us to love more, and be kind to all to make God’s World more peaceful. Thank you for this article. It reminds me who I am and what I should me striving for, at all times.